As the lazy, hazy, crazy days of summer come to an end, your countdown to school begins. 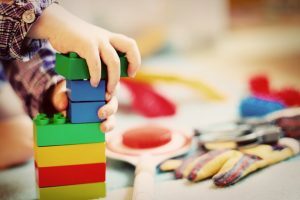 With last minute trips to Red Rock Canyon and Cheyenne Mountain Zoo, you may want to start preparing your little one for the transition back to preschool. Here are 11 back to school tips for preschool parents to help with the transition. The start of preschool brings a return to early rising. 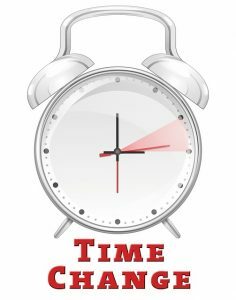 A week or two before their first day, try setting the alarm clock fifteen minutes earlier each day. This lets you gradually adapt yourselves to an earlier wake up call. Of all back to school ideas for parents, gradually shifting your daily routine to the preschool schedule may be the most helpful. Get your child into the habit of changing into a daytime outfit as soon as they get out of bed in the morning. Do the same with teeth brushing and other good self-care habits. Children’s books can provide helpful tips for preschool students in story form. For example, the book Llama Llama Misses Mama teaches children how to cope with a new teacher, new toys, and lots of noise. Pick up a few books that tackle the subject of preschool from different angles. Read these books with your child. Then take the opportunity to answer any questions or concerns the books bring up for your child. You and your preschooler may experience big emotions during the return to school. Practice naming those emotions with your child, to avoid acting out in unhealthy ways. For example, if your child can tell her teacher she feels afraid, it will be easier to address that fear. If she expresses that fear by biting a peer or throwing a tantrum, things may get more complicated. Visit your child’s preschool and meet his teacher before the first day of school. Even at a trustworthy preschool in Colorado Springs, it can be difficult for teachers to get acquainted with your child’s specific needs. As well as areas of gifting unless they can chat with you apart from the hectic drop-off and pick-up times at school. ???? You will not be able to hold your child’s hand throughout the day at preschool. Increase age-appropriate independence during the final days of summer. Teach your child to clean up after themselves. Also, practice simple conflict resolution and how to dress themselves. Buy items your child will be proud to bring to school each day. Also, buy items in multiples to avoid meltdowns if a favorite school item should happen to get lost. Arrive on time for drop-off and pick-up each day at school. This will give your child one less thing to worry about during the day. Consistency will also make you a favorite to your child’s preschool teacher. Volunteer from time to time at your child’s school. Parent volunteers are in high demand at preschools, so it should be easy to spend a few hours at your child’s school each week. This will reduce separation anxiety for your child. Preschool will reduce the amount of quality time you get to spend with your preschooler each day. Make sure to have at least fifteen uninterrupted minutes per day with your child. This is to keep your bond strong. Quality time will build your child’s confidence at school, and empower them to be their very best. Back to school tips for preschool parents should make your relationship with your preschooler stronger. As you learn how to get ready for school after a break, don’t forget to show your enthusiasm for your child’s preschool program! Ask your child to share her favorite moments from school each day. The more your child gets reinforced in her love for school, the easier it will be to spend time there each day.